Beautiful free standing panel featuring a Scarlet Macaw. It stands, framed, 6 1/2 feet(2m) 4 _ high. Almost 300 colored dalle glass bevels, painted and fired columns, chipped dalle . 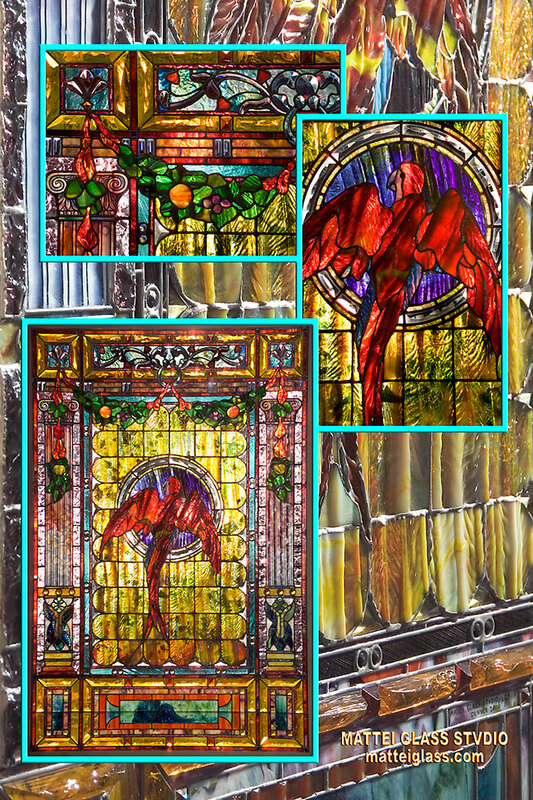 flowers, color phased and triple glazed background and custom poured heavily textured, red opalescent glass with yellow striations for the parrot have made this panel a timeless and much sought after work of fine art.